I can see my home from here! 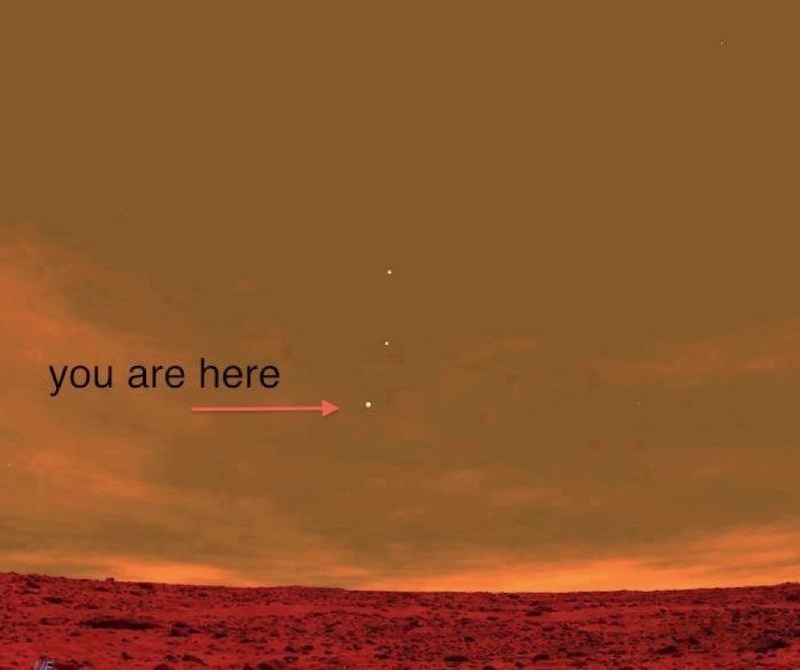 A photo from the surface of Mars. Kind of looks like Kansas with Georgia’s red clay. Cool, but not sure I want to live there. Nearly eight years ago, I worked in the call center industry. Yes, thank you for that quick twinge of collective telepathic sympathy – the job is truly a weigh station for lost souls. Either you fall into the career or your daddy owns the company. In case you were wondering, my dad is an optometrist. While trying to figure out who I was, what I wanted to be, and how I was going to do it, I eventually became an operations manager of a team that hired, trained, scheduled, and developed about 3000 labor hours a week. Later, I coordinated and managed the overall quality effort of 70 branches of call centers across the United States. Needless to say, I spent a lot of time evaluating people doing their jobs and learning about best practices to monitor, track, and report performance. In other words, I was miserable at my job. However, one of the great things about bad experiences is that it if you put aside the “bad” and focus on “the experience,” there’s a lot of great things to mine from the situation. I gained experience with evaluating people that few do. Combine that with experiences as a trainer, recruiter, and manager of front-line employees and their supervision, and I realized that I could apply these skills to something that I loved. I have always loved football. Shortly after I began writing about and playing fantasy football I realized that my eye for detail translated to the evaluation of talent. After listening to Gil Brandt say that if Brian Westbrook were a couple of inches taller and 10 pounds heavier he’d be a top-ten pick, I was inspired to develop my own method of evaluating football players. I decided to limit the focus of offensive skill positions and make it fantasy-friendly material. I wasn’t sure where this idea would lead and the first year of the Rookie Scouting Portfolio was very much the product of months of player study that culminated with a 130-hour week cram session of game watching in a hotel room a block from downtown Athens, Georgia. For seven days, I literally did nothing but watch game after game, had food delivered to me, and took no more than 3-hour catnaps every 18-20 hours. Going into that cram session, I expected to hate football by the time I was done. And it was probably the most grueling, surreal, and enjoyable periods of intense work I’ve had in my life. I don’t ever want to do it again, but the experience confirmed how much I love football. When I published what was the first RSP (2006), I made a little over $100. No one knew about it. No one knew what to make of what I was doing. And I had no track record of doing this in the football world. I wasn’t sure I would continue writing the RSP. It was a year-to-year project for the first four years. It takes a tremendous amount of commitment and skill to balance my time. Many of you who read this blog regularly were people that learned about the RSP, bought it, and gave me the kind of feedback that inspired me to continue believing in its value. Although what I make with the RSP is not enough to sustain a simple lifestyle at this point, it has come a long way from that $100 year in 2006. Last night I made $100 alone from sales and it reminded me of how much has changed for me personally and my career since I took a week off from my day job to have that exhaustive cram session. I still have a day job, but that long-held dream of working from home is a little closer thanks to so many of you who understand what it means to work 2-3 jobs to make ends meet. I could have stayed in operations management, but I left that career and took a simpler job to pursue the RSP and a writing career. It meant more hours, less sleep, and figuring out how to stay healthy while doing it. It’s a delicate balance, especially with a blog added to the mix 15 months ago. But I think I’m getting better at as the years pass. While I am proud of my work, there are times I view it with a far more critical eye than many of you may realize. I think it could be 100 times better and when this someday becomes my “day job” and not the job that occupies more hours than my day job crammed into early morning and weekends, I know exactly what I’ll be doing to meet my expectations. Still, I get emails from people who are blown away by its breadth and detail. I just want you to know why I thank you each week for reading my blog, following me on Twitter (even I still have occasional lapses of how to respond correctly), and buying the Rookie Scouting Portfolio. This is my creation and it’s a joy to share something that people truly appreciate and value. If you didn’t catch the fantasy football Google Hangout that Sigmund Bloom and I did with Sideline View’s Lance Zierlein (a must-follow at Twitter) than you missed a fun 25 minutes. We discuss overrated and underrated fantasy players. I recommend starting the clip at 27 seconds into the video.